That conservatives doubt scientific findings and theories that conflict with their political and religious beliefs is evident from even a cursory scan of right-leaning media. The denial of evolution and of global warming and the pushback against stem cell research are the most egregious examples in recent decades. It is not surprising, because we expect those on the right to let their politics trump science—tantamount to a dog-bites-man story. That liberals are just as guilty of antiscience bias comports more with accounts of humans chomping canines, and yet those on the left are just as skeptical of well-established science when findings clash with their political ideologies, such as with GMOs, nuclear power, genetic engineering and evolutionary psychology—skepticism of the last I call “cognitive creationism” for its endorsement of a blank-slate model of the mind in which natural selection operated on humans only from the neck down. In reality, antiscience attitudes are formed in very narrow cognitive windows—those in which science appears to oppose certain political or religious views. Most people embrace most of science most of the time. Who is skeptical of science, then, and when? At some point in the history of all scientific theories, only a minority of scientists—or even just one—supported them, before evidence accumulated to the point of general acceptance. The Copernican model, germ theory, the vaccination principle, evolutionary theory, plate tectonics and the big bang theory were all once heretical ideas that became consensus science. How did this happen? 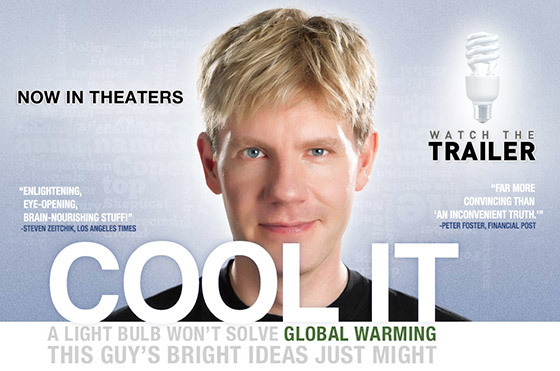 This post is a review of Cool It, a film by Bjorn Lomborg, directed by Ondi Timoner, produced by Roadside Attractions and 1019 Entertainment. Written by Terry Botwick, Sarah Gibson, and Bjorn Lomborg. Based on the book by Bjorn Lomborg. 88 minutes. I FIRST MET BJORN LOMBORG IN 2001 upon the publication of his Cambridge University Press book, The Skeptical Environmentalist, which I found to be a refreshing perspective on what had been the doom-and-gloom, end-of-the-world scenarios that I had been hearing since I was an undergraduate in the early 1970s. Back then we were told that overpopulation would lead to worldwide hunger and starvation, that there would be massive oil depletion, precious mineral exhaustion, and rainforest extinction by the 1990s. These predictions failed utterly. I felt I had been lied to for decades by the environmentalist movement that seemed to me to be little more than a political movement that raised money by raising fears. Lomborg’s publicist thought that I might be interested in hosting him for the Skeptics Society’s public science lecture series at the California Institute of Technology that I organize and host. I was, but given the highly debatable nature of many of Lomborg’s claims I only agreed to host him if it could be a debate. Lomborg agreed at once to debate anyone, and this is where the trouble began. I could not find anyone to debate Lomborg. I contacted all of the top environmental organizations, and to a one they all refused to participate. “There is no debate,” one told me. “We don’t want to dignify that book,” said another. I even called Paul Ehrlich, the author of the wildly popular bestselling book The Population Bomb — another apocalyptic prognostication that served as something of a catalyst in the 1970s for delimiting population growth — but he turned me down flat, warning me in no uncertain language that my reputation within the scientific community would be irreparably harmed if I went through with it. So of course I did because (A) truth is more important than reputation, and (B) no one threatens me and gets away with it. My own Senior Editor, Frank Miele, who is an expert on evolutionary biology and biodiversity (and is one of the fastest and most facile researchers I’ve ever known), challenged Lomborg on several of the chapters in his book, and we had a lively and successful debate. My experience is symptomatic of deep problems that have long plagued the environmental movement, and for a time the political pollution of the science turned me into an environmental skeptic. That alone would be meaningless, given that I have only ever written one article on the subject (my June 2006 Scientific American column explaining that I flipped from climate skeptic to believer), but I believe that the environmental extremists had a similar effect on millions of others who remain skeptical in the teeth of what now appears to be reasonably solid evidence for anthropogenic global warming. Is the cause of global warming human activity? How much warmer is it going to get? What are the consequences of a warmer climate? How much should we invest in altering the climate? Global warming is real and primarily human caused. With questions 3 and 4, however, estimates include error bars that grow wider the further out we run the models because complex systems like climate are notoriously difficult to predict. Lomborg (and myself) provisionally accept the estimate of the United Nations’ Intergovernmental Panel on Climate Change (IPCC) that the mean global temperature by 2100 will increase by around 4–5 degrees Fahrenheit, and that sea levels will rise by about one foot, which Lomborg reminds us is about the same level that sea levels have risen since 1860, without any major (or for that matter minor) consequences. In other words, man-made global warming will be moderate, causing moderate changes. Examining question 4 more closely, Lomborg computes that if global warming continues unchecked through the end of the century there will be 400,000 more heat-related deaths annually, but he then notes that there will be also be 1.8 million fewer cold-related deaths, for a net gain of 1.4 million lives. This is a typical calculation that Lomborg makes in what is essentially an economic triage for global warming — he is not saying that global warming is good or inconsequential, only that its consequences must be weighed in the balance against other problems. For example, Lomborg sites data from the World Wildlife Fund that at most we will lose 15 polar bears a year due to global warming, but what doesn’t get reported is that 49 bears are shot each year. What would be more cost-effective to save polar bear lives — spend hundreds of billions of dollars to lower CO2 emissions and (maybe) lower the mean global temperature by a fraction of a degree, or limit hunting permits? This leads to question 5 — the economics of global climate change — which Lomborg notes that if all countries had ratified the Kyoto Protocol and lived up to its standards (which most did not), according to the IPCC at best it would have postponed the 4.7°F average increase just five years from 2100 to 2105, at a cost of $180 billion a year! By comparison, although global warming may cause an increase of two million deaths due to hunger annually by 2100, the U.N. estimates that for $10 billion a year we could save 229 million people from hunger annually today. Economics is about the efficient allocation of limited resources that have alternative uses. If you had, say, $50 billion a year to make the world a better place for more people, how would you spend it? Cool It traces Lomborg’s attempt to answer this question through a group of scientists, economists, and world leaders whom he gathered in 2004 in Copenhagen to reach what he calls the “Copenhagen Consensus.” These experts ranked reduction of CO2 emissions 16th out of 17 challenges. The top four were: controlling HIV/AIDS, micronutrients for fighting malnutrition, free trade to attenuate poverty, and battling malaria. A 2006 Copenhagen Consensus of U.N. ambassadors constructed a similar list, with communicable diseases, clean drinking water, and malnutrition at the top, and climate change at the bottom. 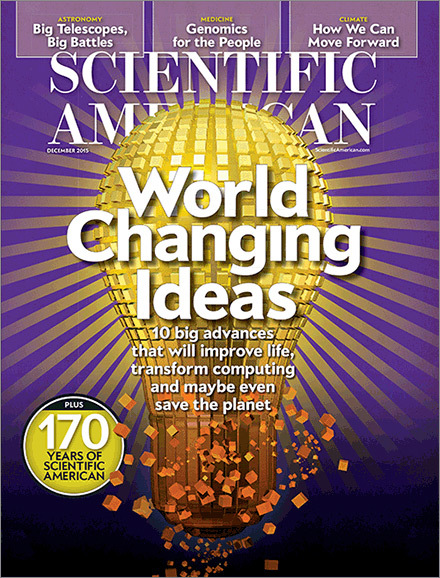 A late 2008 meeting that included five Nobel Laureates recommended that President-elect Barack Obama allocate his promised $150 billion in subsidies for new technologies and $50 billion in foreign aid be allocated for research on malnutrition, immunization, and agricultural technologies. For a cool Kyoto $180 billion you can buy a lot of condoms, vitamin tablets, and mosquito nets and rescue hundreds of millions of people from disease, starvation, and impoverishment. Cool It is an uplifting film, filled with solutions that any green technophile would love: solar, wind, wave, and geoengineering technologies take up a lion’s share of the film. (And true climate skeptics will denounce Lomborg on this front as they do not believe that these alternatives can come close to replacing coal and oil as sources of energy.) To his credit, the unflappable Lomborg, with his boyish good looks and curiosity, includes in his own film harsh disparaging commentary by his long-time critic Stephen Schneider, the Stanford University climate scientist who passed away this past July. In a very classy touch, Cool It is dedicated to Schneider. Note: If you are skeptical of Lomborg and his branch of environmental skepticism, read the Yale University economist William Nordhaus’ technical book A Question of Balance (Yale University Press, 2008). Nordhaus computes the costs-benefits of various recommendations for changing the climate by either 2105 or 2205, primarily focused on the cost of curbing carbon emissions. 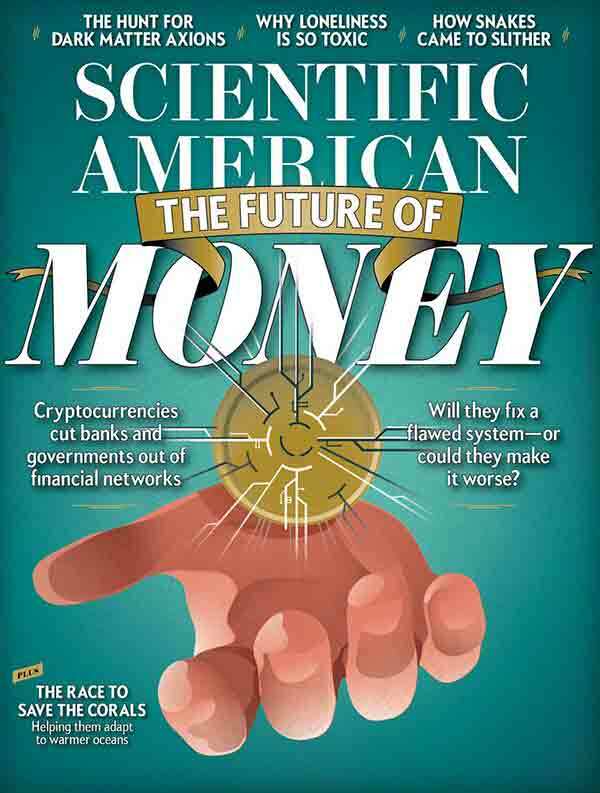 Economists like to compute future profits and losses based on investments made today, adjusting for the value of a future dollar at an average interest rate of four percent. If we spent a trillion dollars today (the equivalent of the recent bailout or the Iraq war), how much climate change would it buy us in a century at four percent interest? Nordhaus’s calculations are compared to doing nothing, where a plus value is better and a minus value worse than doing nothing. Kyoto with the U.S. is plus one and without the U.S. zero, for example, and a gradually increasing global carbon tax is a plus three. That is, a $1 trillion cost today buys us $3 trillion of benefits in a century. Al Gore’s proposals, by contrast, score a minus 21, where $1 trillion invested today in Gore’s plans would net us a loss of $21 trillion in 2105. Add to these calculations the numerous other crises we face, such as the housing calamity, the financial meltdown, the coming pressures of funding Social Security and Medicare, not to mention financing two wars, a failing public education system, and so forth, and suddenly global climate change is put into perspective.